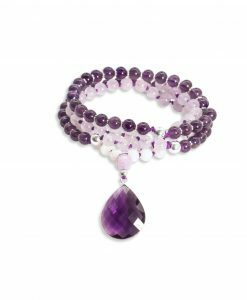 Amethyst has been revered throughout the ages for its stunning color and ability to both stimulate and soothe the mind and soul. 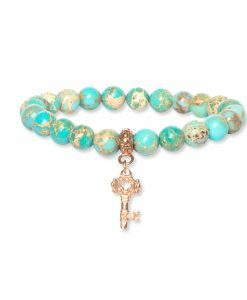 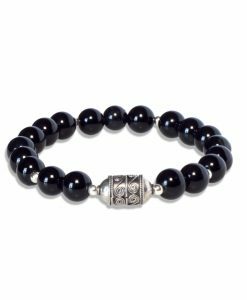 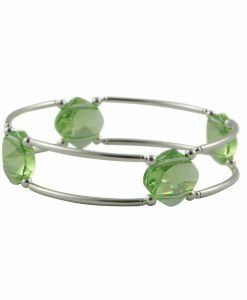 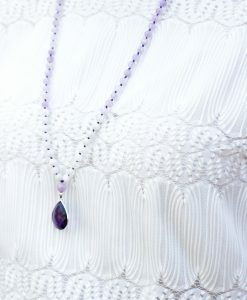 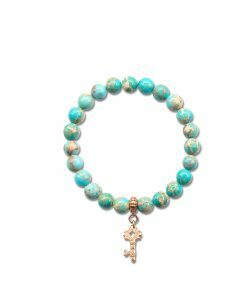 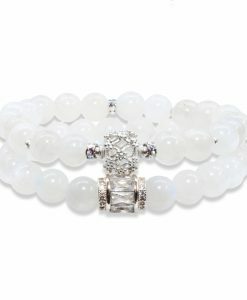 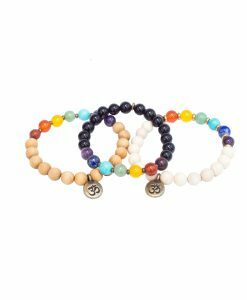 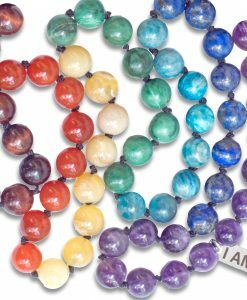 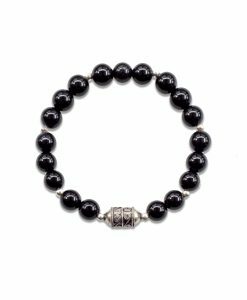 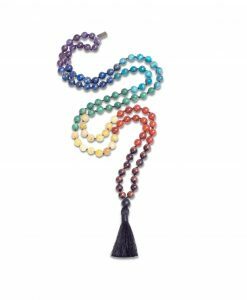 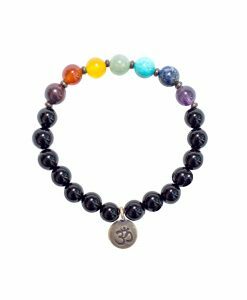 Worn for protection, not only of the body but of the spirit, being known as a connector to the Divine – elevating us to higher planes of existence and the source of universal energy and truth. 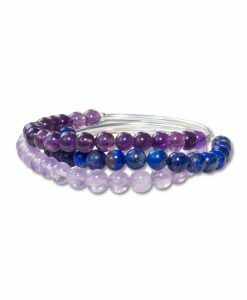 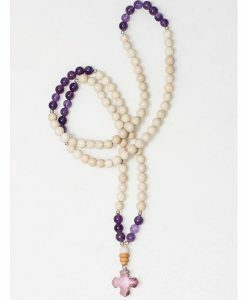 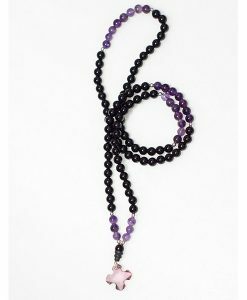 It balances the crown chakra, the seat of higher consciousness and awareness. 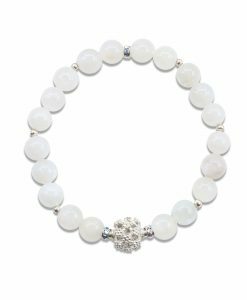 Moonstone is the stone of the Soul journey and new beginnings. 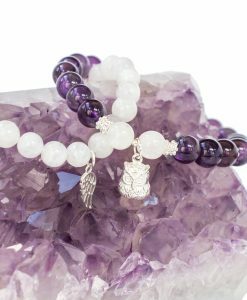 The wing is there to remind you that you are always protected by unseen angels to love, support, comfort and guide you. 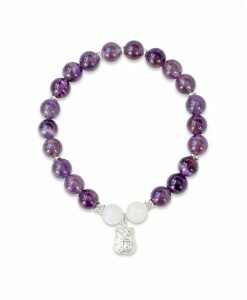 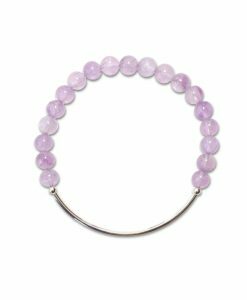 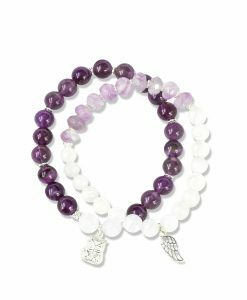 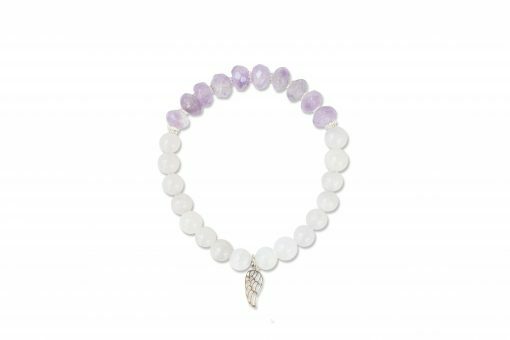 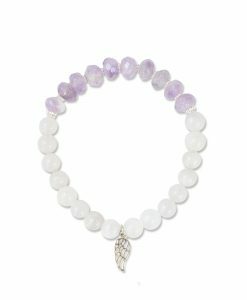 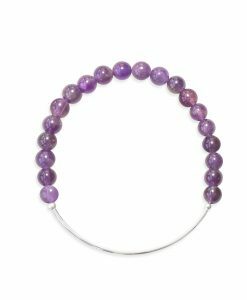 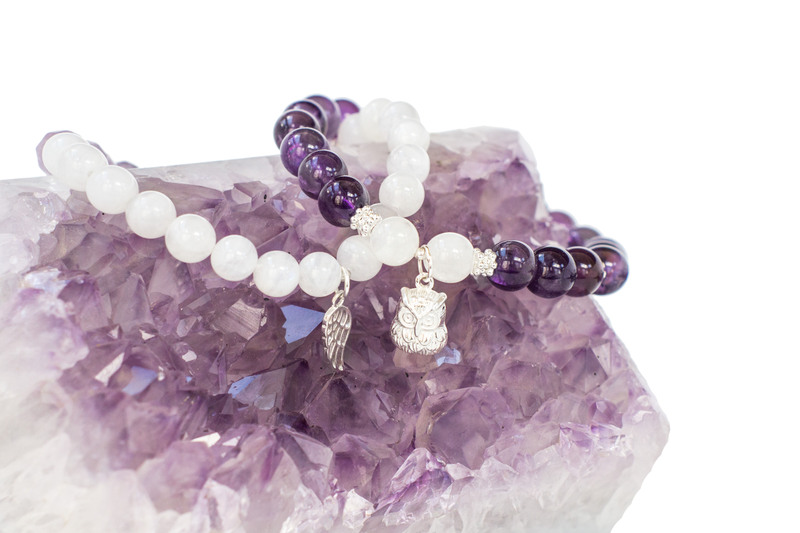 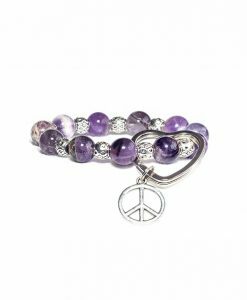 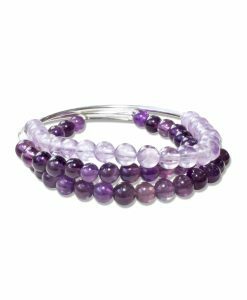 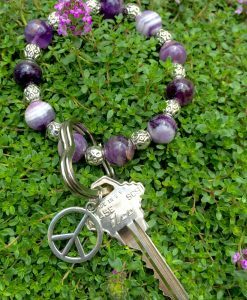 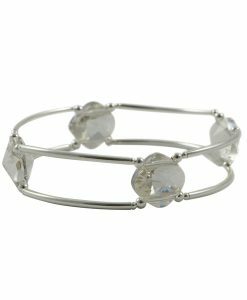 This bracelet is made with 6mm Moonstone roundsand 8mm faceted Lavender Amethyst Rondelles, with a shiny Sterling silver wing charm.